I've waited most of the day to show this card to you. 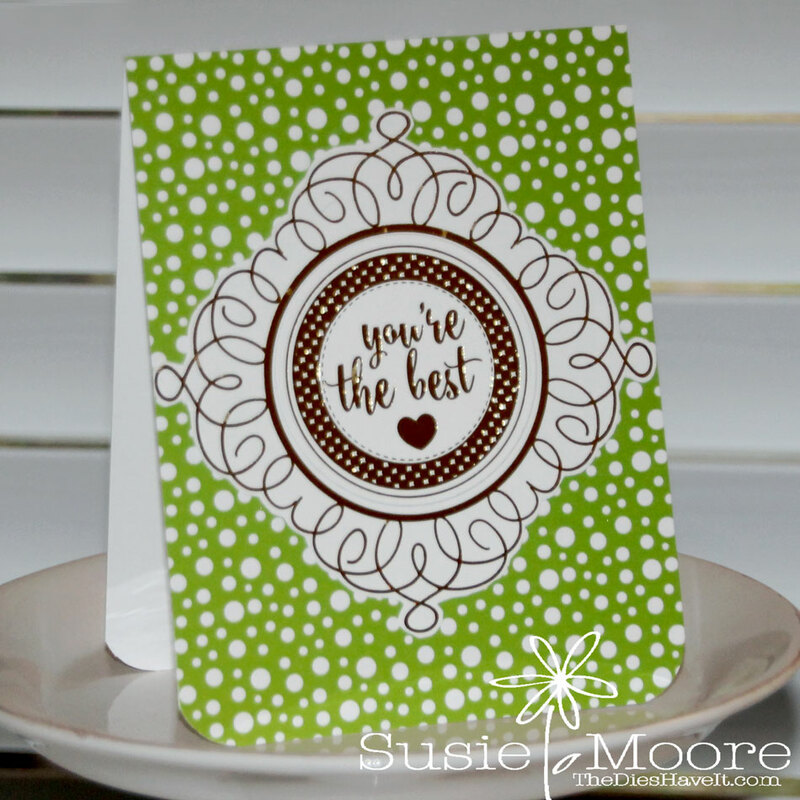 It is one of the cards I'll be sharing at the Gina K. Designs Release Party at 7pm tonight. Gina has a brand new StampTV kit called, Made with Love. It goes on sale tonight and you just won't believe how big this kit is! So be sure to drop by tonight to see lots and lots of cards made with this new kit. There will be a video and contests too! I promise, there is something for everybody! Here is the link. See you in less than two hours!